Open Houses Sat. 3/23 & Sun. 3/24 CANCELLED. Move in ready expanded Cape. Corian counters and Stainless Steel Energy Star appliances.First floor open floor plan includes the kitchen and pantry, dining room, living room, family room, two natural gas fireplaces, half-bath with laundry, and spare room.Master bedroom with a private bathroom and jacuzzi, two additional bedrooms and a full bath complete the second floor. A whole house automatic gas generator installed in July 2018. Patio and beautiful perennial garden. Hot and cold outdoor shower. A transferable Home Warranty covering appliances, systems, and roof leakage repairs is paid through June 5, 2020 for the new owner. A copy will be provided when requested. 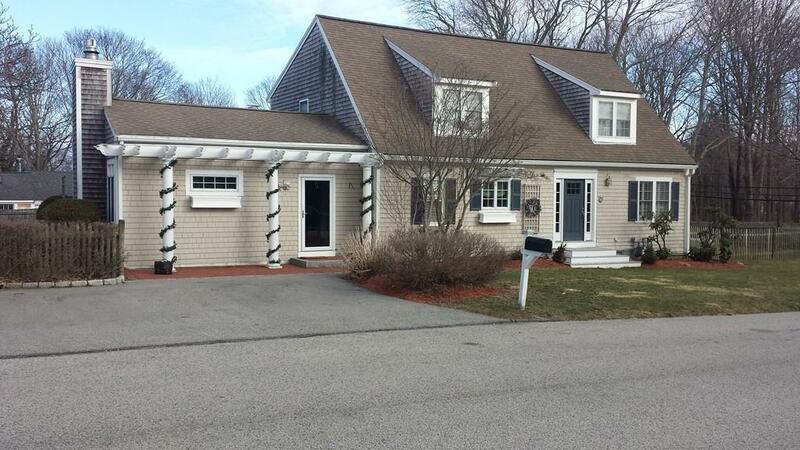 Minutes to commuter rail, and ferry to Boston. Come enjoy Cohasset and the South Shore.